Carefusion Stimulator — Brownlie Design, Inc. 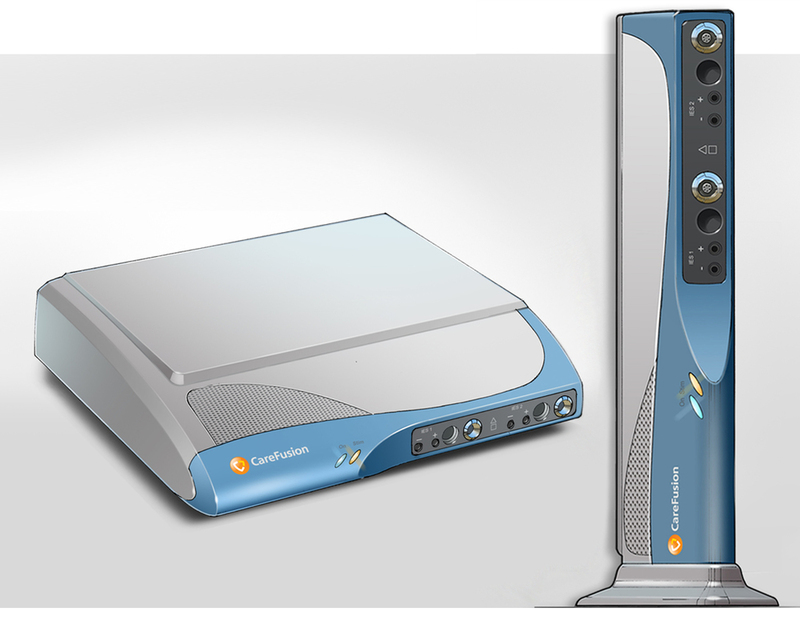 The CareFusion stimulator for the EDX Neurology Diagnostic System performs nerve conduction studies, electromyography and Evoked Potential testing. The handheld stimulator was ergonomically designed with input from world renowned neurologists and electro diagnostic technicians. Final mechanical details of the new stimulator enclosure included easy-to-assemble snap fit body parts, overmolded Santoprene soft-touch areas, integrated cord strain relief and tightly toleranced, adjustable probe attachment details. The stimulator and the EDX Neurology Diagnostic System's base unit work as a system, and required a consistent appearance, essential to the aesthetic success of the design. The striking and unique product brand language developed for the handheld stimulator was also used for the base unit appearance. Connection details are intuitively arranged and badged for easy use. The base unit is designed to orient horizontally or vertically, accommodating most any procedure suite environment.